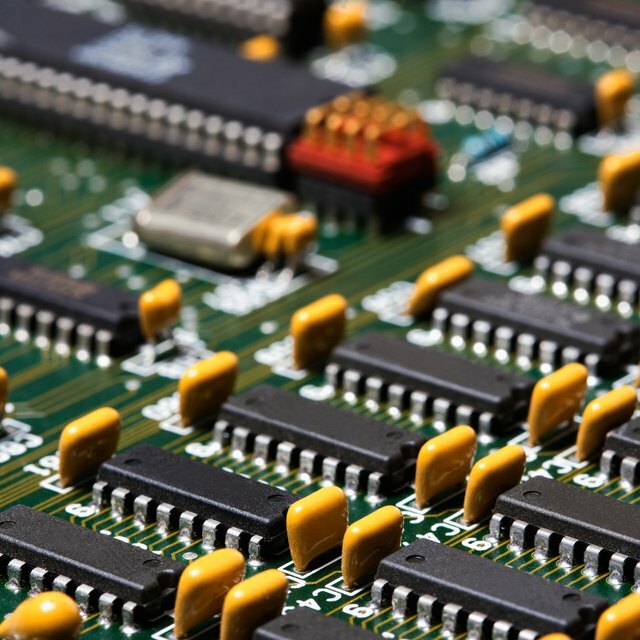 Analog multimeters may be more difficult to read than their digital counterparts, but the continuous movement of the needle allows a more precise monitoring of changes in current and resistance than a digital readout. 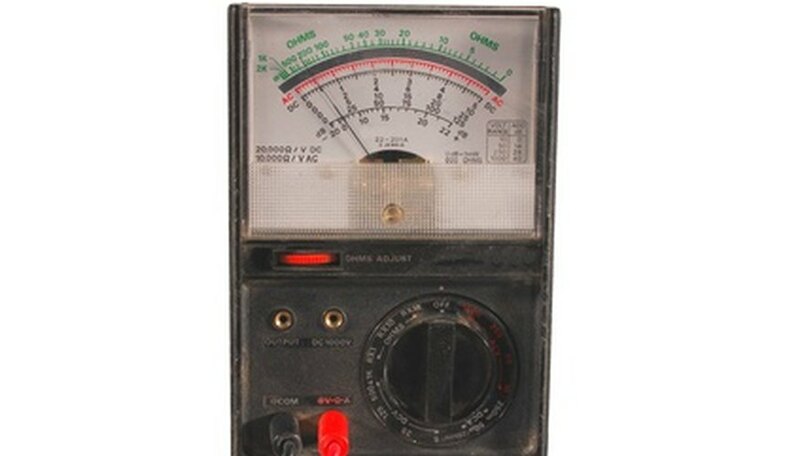 An analog multimeter generally consists of a screen with a pointer and multiple scales, a range selector and two leads. Connecting the two leads to the positive and negative terminals of an electrical circuit and setting the range selector to the right setting will give an accurate readout of the current in the circuit. Turn the range selector dial to the 250 ampere setting. This will prevent an overcurrent from occurring, which could damage the multimeter. Set the multimeter's zero position by touching the ends of the two probes together and pressing the zero position adjuster button just below the screen. Secure the multimeter's probes on positive and negative terminals of the circuit -- the red probe to the positive terminal and the black probe to the negative terminal. The probes should have alligator clips; if they do not, use electrical tape to secure them onto the terminals. Check the position of the needle on the "DC A" scale of the screen display. If the needle hasn't moved significantly to the left, remove one of the probes and switch the range selector from 250 A to 25 A, and then from 25 to 2.5 A if necessary (not all multimeters have a 2.5 A setting). Choosing the proper range will give you a more accurate reading. The "DC A" scale has three numbers at each point. Read the highest number when the range is set to 250 A, the middle number when at 25 A, and the lowest when at 2.5 A.
Wallulis, Karl. "How to Read Amps on an Analog Multimeter." Sciencing, https://sciencing.com/read-amps-analog-multimeter-7665586.html. 24 April 2017.